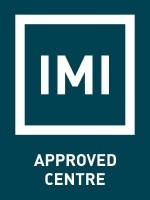 TEN Automotive Equipment Limited operates to an established IMI Qualification Guidance and Assessment Criteria. The framework forms an integral part of the Company's training policy and mission, to provide a plan in which each Candidate's experience and training can be programmed, structured and monitored, thereby enable them to achieve an industry recognised qualification. IMI Accreditation Light Vehicle Inspection (Level 3) that replaces the DVSA NTTA Exam. MOT Manager Training (AEDM) course. IMI Level 3 Award in Automotive Refrigerant Handling (F-Gas). Certain types of training can be offered at a location to suit your needs (subject to facilities and equipment available). For more information; please click on the relevant button below..